Click on the the above to make a donation by mail. You will go to page with a form to fill out and the address. Print the form to mail it. Make a cheque payable to "St. Andrew's United Church". 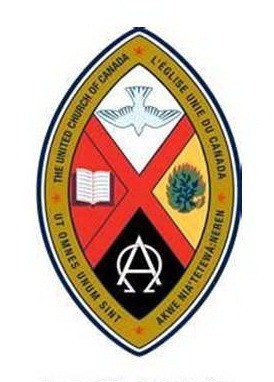 St. Andrew's UC will issue a tax recipt. Donations can be made directly to the church or through your envelope or PAR. PAR can be set up at the church using a form that you bank will use for monthly donations. This form can be updated or edited at any time, the PAR giving should be reviewed annually to be sure that the PAR levels are what you want. If you are on PAR you will still get envelopes for extra or special apeals(donations). 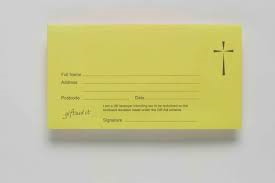 Offering Envelopes are offered to each adherent. If you haven't recived your envelopes or are new and would like envelopes, simply see Faye in the office and she will set you up, or you can put a note in the collection plate(with name/address) and it will be delivered to Faye. Envelopes allow you designate your offering each week between General, M&S, Building and "Other" funds. If you are designating "Other" -- please indicate what it is for so the donation can be sent to the correct place. Designated "Other" is where to donate to world appeals or other special appeals.